All Champions League-talks goes in here! What do you think about the matches so far, especially the eight-finals? What team do you think will win it all in the end? imo, this years Champions League is wide open. There are alot of teams who have a great chance of winning. 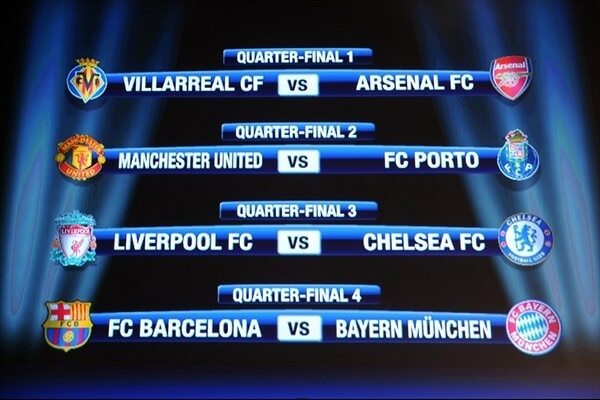 One of the English sides will be in the final again, most likely Manchester United as they are unstoppable right now. A Bayern Munich v Manchester United Final would be insanse seeing as how both are on good runs right now. Arsenal or Villarreal could be two shock teams. Arsenal are getting all their players back from injury now (Eduardo, Fabregas, Walcott and so on) and Villarreal are looking very good in Europe (first Spanish team to win at the Spiros Louis stadium EVER). Even Lyon could be a shock team if they beat Barça. INTER...PLEASE WIN ONE IN MY LIFETIME!!! What a [expletive]ing epic penalty shootout. Steven Gerrard and Miroslav Klose are the leading scorers in the competition atm. He's 30, soon to be 31. Klose has scored 44 goals in the WC, Ronaldo 62. Klose has NO chance of breaking Ronaldo's WC record, seeing as how next WC will probably be Klose's last one. Oh, you said World Cup record, I thought you said INTERNATIONAL record. If Miroslav Klose played 2 more World Cups, he would be 36. Germany by then will have younger and better strikers. Even for the 2010 one, Stefan Kießling, Lukas Podolski and Mario Gómez will all be good strikers...meaning he won't get as many goalscoring opportunities. Infact, Mario Gómez has scored 4 more goals than Klose in this years Bundesliga, and Kießling only one less. Give them one more year, and they will both be better ot at least equal strikers. Edited by Darth Bynumite, March 12, 2009 - 11:45 AM. haha, yeah i saw it. But it's ManU's season this year. Uhh, not this year too I hope. Although they look very strong. Man U are the best team in Europe at the moment. I mean, their dominance in the Premiership is crazy, but their team is so all round perfect, how can another European team find a fault to expose? I don't want them to win it twice in a row, but they have to be the favourites.